The first thing I noticed was a new design and logo. While I have never ordered a CurlKit I’ve seen them before and I noticed the packaging was different. 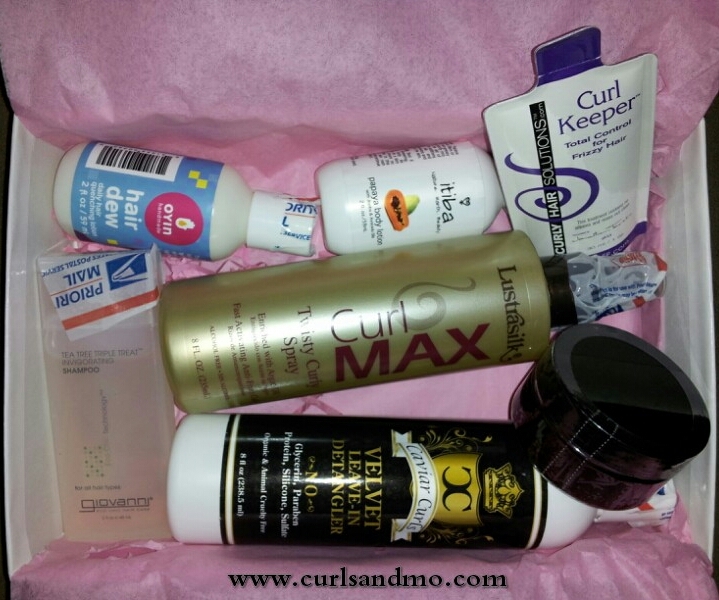 When I opened the box the first thing I saw was CurlLife: A CurlKit Pulication. The cover has a picture of a bride and several references to weddings so you know this is the wedding edition. When you open the pamphlet there are a few business cards from some of the companies included along with a list of the products included in that month’s Kit. These are the products listed: Honey Curls: Cutesy Custard, CurlMax: Twisty Curly Spray, Oyin Handmade: Hair Dew, Pooka Pure & Simple: Lemon-Aide Hand Exfoliator, Caviar Curls: Velvet Leave-In Detangler, Itiba: Papaya Body Lotion and Curly Hair Solutions: Curl Keeper. Below is a picture of what was in the CurlKit. As you can see the Pooka Pure & Simple: Lemon-Aide Hand Exfoliator is missing. BUT, they included a sample of Giovanna Tea Tree Triple Threat Shampoo which wasn’t listed in the brochure. I love anything with Tea Tree so I’m excited to try it. I also noticed that one product was not labeled. From the product list I know what it is but that isn’t good as a consumer. We need to know what we’re using and what you’re selling. I wasn’t impressed by the full size products since one I’ve never heard of and the other I already have. But, I am excited to try at least three of the samples. I’ll keep you Curlistas posted if I find anything to be especially amazing. 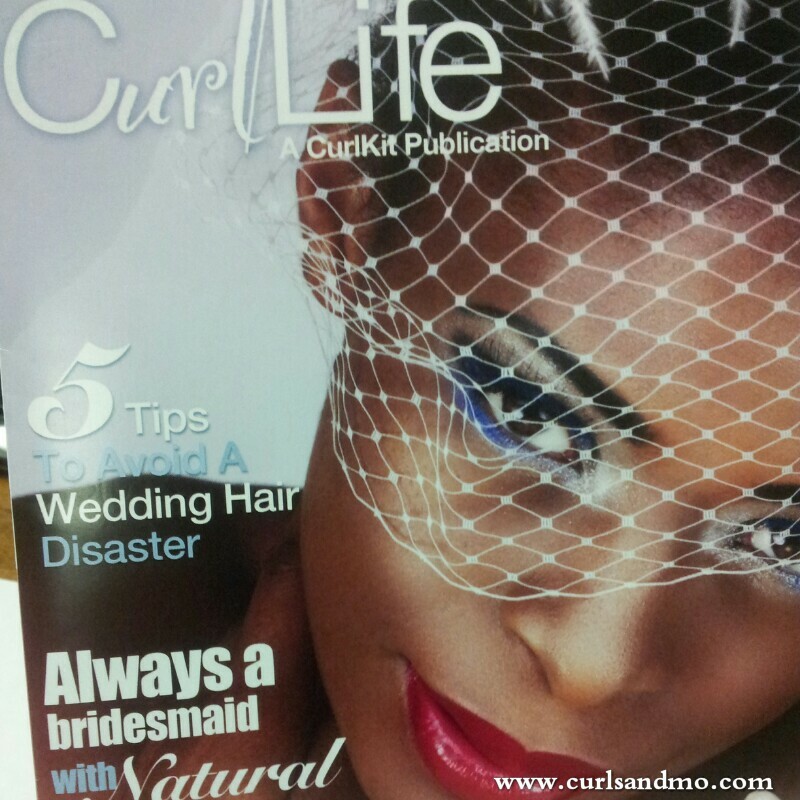 Have you tried CurlKit? What did you think? What about any other natural hair or beauty subscription services? Please share below. This entry was posted in Curlista and tagged Beauty, beauty blogger, blogger, bloggers, coils, conditioner, curlista, curlkit, curls, curls and mo, curlsandmo, curly hair, goodgirlpr, hair, healthy hair, natural hair, NYC, product review, products, team natural, vlogger, YouTube. Bookmark the permalink. Nope! I’m definitely trying that out. Lol.